The Amateur Observers’ Society of New York, established in 1965, was created as a means for astronomy enthusiasts of all ages to meet together. Our mission statement: to bring astronomy to the public and provide astronomy resources to members expresses our commitment not only to serve our members, but also to educate and inspire the public. Amateur Astronomy is about helping others, learning, doing, and having fun! Over the years our activities have grown with our membership. In addition to sponsoring numerous stargazing activities in several places on Long Island, New York, we are actively involved with reducing the light pollution problem on the Island and throughout the state. With members owning telescopes of all types and sizes we are more than eager to help with any questions you may have about sky observation, celestial photography, telescope purchasing or anything related to your astronomical interests. We invite you to join us in these events and at our monthly meetings in order to learn about and share our enthusiasm for celestial observation. Would you like to take a peek through one of our scopes? No problem! Meetings are held at Hofstra University, Berliner Hall Chemistry/Physics Bldg #61. It's located on California Ave, a block south of Hempstead Tpk. We meet the first Sunday of the month, Oct through June and the second Sunday in Sept. There are no meetings in July and August. You can also join us at our monthly stargazing sessions. We are an active club with lots to do and participate in. Equipment is not necessary. Come join us under the wonderful nighttime sky. First year membership is only $17 dollars which includes membership in the Astronomical League (AL)! Renewals are $15. Additional $5 for a family membership. Members are entitled to discounts on Astronomy and Sky and Telescope magazines, 10% off all astronomy books and discounts from telescope vendors. 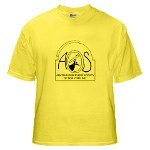 Many observing awards are available from the AOS and the AL. You will receive our monthly newsletter, the Celestial Observer (CO) which details the latest club happenings along with late breaking news about things astronomical via e-mail and The Reflector from the AL.. We also have an extensive print library and equipment library and you won't be charged any late fees! Our online hotline keeps members informed of the latest astronomical events, allows members to plan impromptu observing sessions, reminds everyone of local activities and provides a forum to ask questions. As an adjunct to your AOS membership you automatically have membership in The Astronomical League with their programs, newsletter and discounts. AOS of NY is also affiliated with Custer Observatory, Southold, NY, on Long Island, where star-gazing activities are located, along with other related events. The AOS has built a wonderful observatory there. It houses our 14 inch SCT telescope. Website created by Mike Durkin, Harvey Miller, Robert Benjamin, Steven Benjamin, and Larry Benjamin. For all events check out the AOS Calendar of events. The Susan F. Rose Observatory is open to the public every clear Saturday night till midnight at Custer Institute in Southold. Stay connected. Follow us on Facebook or Twitter. Astronomy Magazine's 2009 Out-of-this-World Award winner.